One sticker is never enough, right? Buy all three at once and save! 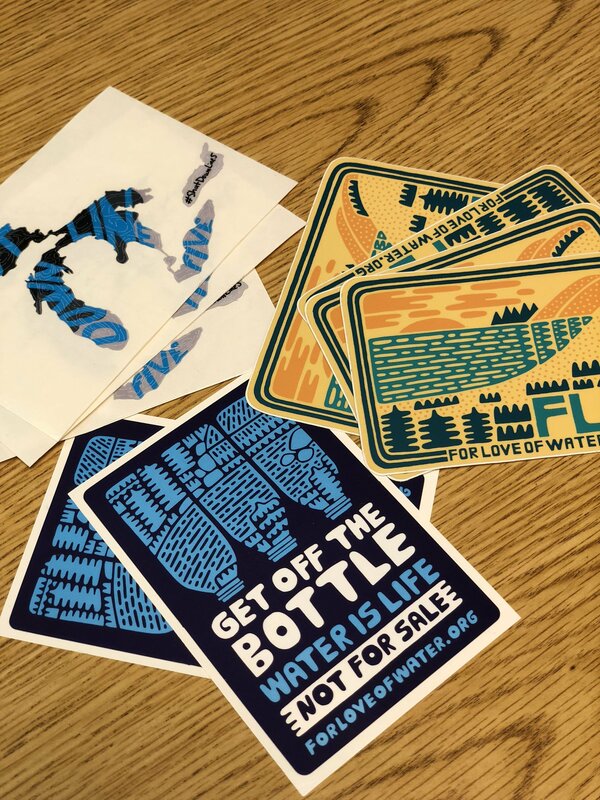 (1) of each of our Get off the Bottle, FLOW, and a Great Lakes Proud - Shut Down Line 5 sticker. So rad!